Hi lovelies! After two weeks of using Contractubex here's my initial review. I apply it 2 or 3 times a day and I can say that long term use will definitely show improvements on my scar. If you're wondering why I'm using this, I had my operation last month and the scar is very obvious. You can read my post here: Salpingectomy. My OB prescribed this and I know it will somehow make the scar less visible but not totally diminish it. I also want to use this to avoid keloid scar, I'm not sure if I'm prone to this type of scarring but 2 of my sisters are complaining about their keloids. So I need to deal with it and "prevention is better than cure". instructions for use: Ideally, Contractubex® gel should be gently massaged in 2 to 3 times daily for at least 3 months. Contractubex® forms a discrete film that protects the sensitive scar tissue. Apply Contractubex® only to wounds that are already closed. Avoid contact with eyes, the inside of the nose or mouth and other mucous membranes. Start at the centre and work towards the edges, massaging the gel gently into the scar. Continue with a small, circular motion until Contractubex® is completely absorbed. Scar treatment needs patience, as the injured skin takes time to heal. After about 4 weeks, a reduction of redness can usually be observed; after two months, the scar tissue gradually becomes lighter, more elastic and flat. ingredients: Extract cepea 10.0g, heparin sodium 5000 I.U., allantoin 1.0 g, serol vehicle ad 100 g.
This is the exact amount of the product that I use on my scar. I can't post a photo of my scar because it's somewhere near the private area, just imagine it's 3-4 inches long. The gel-like consistency is not sticky and slimy. The scent- smells like roses which is not overpowering. Easy to spread and leaves a thin coat of film. There's a cooling and tinging sensation which I like because I know the product is penetrating in my scar tissues. I find this affordable because after 2 weeks of daily usage, I only consumed about 5% of the product. So this tube will last me a long way. Complete information on the box, with manufacturing and expiry date. The packaging- I have this problem with ointment tubes wherein I cannot control the amount I'm dispensing. Will I repurchase? Yes, after finishing the tube and if the scar is still visible. I give this a 4.75/5 rating. Contractubex clearly stated that it's effective for newly formed scars. I can attest to it because I can see how my scar flattened after two weeks of use. For old scars, let say around 2 years there's a special instruction written on the box on how to use the product. This treatment is laborious, you have to apply the cream 3 to 4 times a day to see the results. Patience is a virtue! So if you have newly formed scars, I highly recommend this product. How do you deal with scars? Have you tried Contractubex? Have a great day ahead! I always like to have a read about such things, my blog is related if you want to have a look round it please feel free. I have added yours to my bookmarks. Great find Kath, I'm looking for something for my stretchmarks, baka pwede ito. Anyway, bakit ka kaya moderated dun sa forum, I don't see your posts wrong naman. @Rae- I'm not sure if this will work on stretchmarks. San location ng stretchmarks mo? 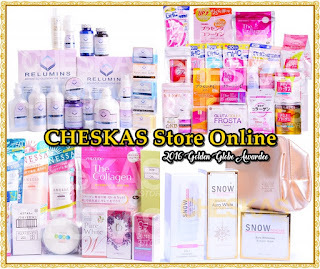 Kasi nung pregnant ako Palmer's saka Clarins ginamit ko then hindi na masyado visible. Before and after giving birth ginagamit ko na sa tummy area yun. 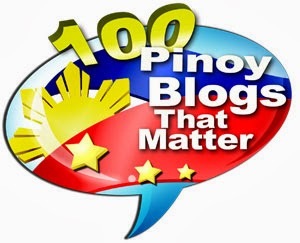 May na post kasi ako link before na bawal daw yung mgpost ng link parang blog advertising daw. Kaya ayun, ok lang naman. will try to stop by here more often. @yaelismione- hello :) About the pimple scars I haven't tried it using there. I also read it from other bloggers who used this for their pimple marks. IMO, it can heal dark marks and those very old marks because this has exfoliating effect too. So if you use it religiously everyday more than once, it can help lighten marks. Hi Ms. Kath. This is very helpful and I sincerely thank you for it. I do have a question for contractubex, after reading this bumili ako but im not sure how to use it.. I have to put on lotion (parang routine ko na kasi and i feel naked if hindi ako nglalagay) and I dont know when to place contractubex, should it be before or after applying lotion. and how long before I do so? @Anonymous- Hello :) Thank you for your kind words. Apply the gel right away after taking a bath. Apply it thinly and massage it on the problem area. I'm not using lotion on the part where I used this product. But in most cases that I've read, about applying more than one product you have to wait 10 minutes or more until the first product is fully absorbed. You can apply contractubex first then your lotion na. Thanks for the helpful review. I have scars since i was a kid and barely visible na rin naman siya pero depende sa lighting, haha. Anyways, I've tried so many products and even tried skin peeling pero I'm still not happy with the results. I'm 22 now and I really consider my flawed legs to be a great insecurity. Do you think I should give this product a try? @Miss C- Hi, thank you for sharing. If your scar is less visible na, I don't think you need this ointment pa. What I like about this product is that it's very straight-forward lalo na sa literature na scars that is 2 years old and below will benefit from it. So it means that if your scar is older than 2 years, contractubex will not be that effective na. My sister also used this product on her newly healed scar and on keloids more than 5 years old. It does the job dun sa kaka heal pa lang unlike sa old scar nya na wala naman nagbago. @Anonymous- Hello, haven't tried the product on my pimles. There's a stinging sensation when I apply the product on the scar are, I guess it's the much intense with the pimple especially if it's still starting to pop out thus it's itchy. 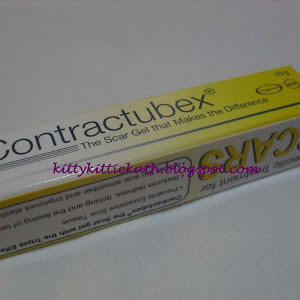 The product is not recommended to use if you have fresh scar, open wound or blister, you have to wait at least one or two weeks before applying contractubex. i have 3 pimples on my face... i use some hydroquinone with tretinoin on it, i thought it will treat them but so sad it made them worse.. my pimples peel off and the results it leaves a hideous scar actually it's black scar.. i feel so depressed that time i don't know what to do..it's been 3 weeks and it's still there, whenever i go outside i put some cake foundation on it to cover it but still it's still visible.. i wanted to use contractubex that time but i'm kinda scared cause i don't know if it really works on me or just make them worse again.. but i take the risk in just 2 weeks my scars disappear.. i just follow the instructions in the box i put contractubex 4 times a day rub it to my scars.. if you have new scars put contractubex right away.. i'm so thankful to this product..
gud am po wla po bng side effect qng sa pimples iaaply po...nkakatakot po kc mg apply lalo n po sa face...tnx po..
Hello..pwede po ba yan sa old scar?..I have a scar kasi on my legs I got this when im still a toddler sabi ng mom ko kagat po sya ng langgam na hindi naagapan kaya nging scar na im 28 now may chance pa ba kaya na maheal ng contractubex?..thank you..
Hi kitty , :) effective po ba ang contractubex sa old scar ? im 18 yrs. Of age na po . pero ung scars ko is happen since when i was a 5yrs. Old .. Sa tingin nyu po ba maalis pa to ? i buy contractubex yesterday . thankyou :) .. I hope u will response to my message ..
@Anonymous- Sad to say hindi na gaano effective pag sobrang tagal na nung scar. kahit surgery daw hindi na din matatangal ang scar na malalim, gagawin na lang less visible. So if your scar is very old na, chances are mag lighten or medyo maging less visible lang and nandyan pa din. Hello. Hmm. Nag ka old scars ako when im 5-10 yrs old. And im 13 now. Will it be effective??? I have a keloid on the back of my neck from an ingrown hair. I want to the dermatologist and she injected it with steroids and had me use a special shampoo but that was expensive. It pretty much went away but I couldn't afford to keep going there and it came back. I bought a tube of contrabuex, still waiting on it to get here. Do you think it will work for my keloid. @Anonymous- hello, about your scar it still depends on the severity kasi. Saka kung gaano na katagal yun nag exist sa skin mo. Patience is virtue lalo na if you apply the product religiously, you can see a big difference. I have used this on after my first and second pregnancy, and I can say that the product is effective; it lessen the keloids' build-up. hellow pde kuba to gamitin kc nag ka chickenpox ako 2 weeks ago ang daming naiwan na marks sa face ko yung iba ang lalim pa at dark na yung sa paligid can i use contractubex? tnx sis! @mayla lagrimas- to tell you honestly mahirap talaga matanggal yung mga scars na 2 years old na pero why not give it at try, wala naman mawawala. if not totally ma aalis at least medyo malessen naman yung appearance diba? @rimy rima- if the scar is not totally obvious, this can help make it less visible pero not totally diminish the scar. @Anonymous- about your case, contractubex will help lessen the keloid, diba yung keloid minsan makapal sya, papanipisin ng gel na to if lagi mo inaaply but hindi na talaga mawawala. hi,, ung scars ko eh wla p naman syng 1year old,sna mgfade p sya,, satin lng b meron nito sis? @yoshie- I'm not sure if this is available sa Japan but I know it's also available sa US. hi nagpabura ako ng tatoo kaya nagkeloid..kaya nya b magamot toh!. Thanks for this post.Just in time!Btw,can this treat pimple scars? @Anonymous- hello there! This ointment will only lessen the appearance of marks and scars. If the keloid is less than a year mas ok na lagyan na agad ng ointment everyday para mas mabilis yung pag effect ng product. pero hindi mabubura yung keloid scar totally. Im really intrigued with this product however I just want to ask if it treats pimple scars? I got lots of scars but there are already more than 2 years old already. Thanks! @Say- I can't attest to it kasi di ko pa nagamit sa pimple scar but I presume it will work to any kind of scars basta wag lang more than 2 years or older pa yung scar. Want to try it in my CS operation. hope it works. 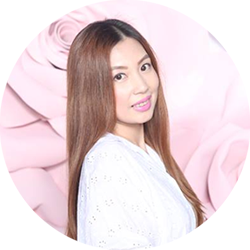 @Elaine Delos Angeles- about sa pagnangati, it's an indication that the product is working. Dapat sa scar or kung san part lang sya makati. Hindi din dapat sobrang kati. After application dapat mawala din yung "stinging sensation". @deep- hello. Thanks for visiting. It would be great for all the readers of this blog if they'll hear your experience here. Thank you so much! Please update us, okay? Pwede pbang mawala ang keloid? @jhona Lyka- hello dear, hindi totally mawawala. it will just make it appear less noticeable and if the keloid scar is thick pede panipisin ng ointment if used religiously. @Anonymous- Hello dear, thank you for visiting. Actually, I want to be honest talaga na according sa nabasa ko yung mga scars na medyo matagal na is mahihirapan na mag fade or mag lessen unless you'll undergo the knife or have other forms of treatment pero wala din assurance yun. About naman sa stretchmarks, I'm not sure kasi hindi ko dun na try yung product. I can suggest you to use sunflower oil and camellia oil because yung 2 oils na yun pa lang ang na try ko sa stretch marks ko and kahit papano medyo naglighten yung parang brown color nun. Be patient talaga dear to use it every night or if possible as many times as you can. @Aria- hello dear :) Thank you! Mabuti you've discovered contractubex and 2 months pa lang scar mo, may chance pa yan mag fade but the first thing na dapat i set mo sa mind mo is maging less noticeable and maging ligther yung appearance. Just apply it religiously. Good luck dear! Hi. I was surfing the net about product that can remove scars and then I saw your post about contractubex. As I've read your blog post, I had a hope that this would help me. It's always been my problem since last year, where I got my scars. Frustrations, really got me. I'm just wondering if this product would still be effective even for old scars? And how long does it takes to diminish or lightens the scars? is the product still effective on old scars? and does it whitens old scars? @Iris Castillo- Thank you so much for visiting. Since your scar is a year old pa lang, there's still a chance to make it less visible and lighter. About the length of time, it depends kasi sa severity ng scar. If maliit lang, mas mabilis lalo na pag lagi mo inaaply. @anonymous- if sobrang old na ng scar, medyo mahihirapan na. sa whitening naman, ganun din so mas ok talaga after a month pa lang yung scar dapat inaaply na yung ointment. @anonymous- hello :) it depends pa din sa size and lalim ng scare dear. I'm not sure since some keloids are buhay kung tama yung term ko. Hi Ms.Kath... mrami po ksi akng scar sa mukha. merong prang brown spot..mga paguhit-guhit.....epekto prin po ba ito....syo khit old scar na ito? @Monica- if the scar is not older than 2 years, may chance pa na maging less visible. If the scar is also not that severe and maliit lang chances are may effect pa yung product. About the brown spot, if that's freckles not sure if may effect. I can't base it on my experience kasi hindi ko pa nagamit sa face ko yung gel. @toto ayuban- how old na is your scar. If it's less than 2 years old may pag-asa pa :) hope you can use it as early as possible. Ate Kath. I have a long scar on my leg. And it always loses my self confidence. I got this when I was just grade 5, i think. And I'm a college student already. This is so embarassing. I can't do many things like attending in a prom or class swimming. Please help me. @Anonymous- hello there. Thank you for visiting my blog. The scar is too old na pala. Is it very visible? If you really want to lighten it without spending too much I suggest you apply sunflower oil pero I'm not sure if this will make the scar less visible. You can still try contractubex if you want just use it nightly and religiously. ms:kath may keloid mo ako sa katawan malaki po mga 3 ins po ang haba .. lawak po ay 2 ins. 14 years napo ito sa katawan koh.. :( may pag asa pa pu bang mawala ito ? or kht numipis lng khit konti ? thankyou poh aasa po ako na may pag asa pa pong mawala ito .. at kung gagamit po ako ng contractubex ilang months kopo ito kaylangang gamitin ??? Hello po, can I use it for my three year old daughter? May scar po kase sya medyo malalim, hindi naman po malaki pero maitim cya cya ka halata po talaga sa may legs nya! @Anonymous- hello there! Thank you for visiting my blog. To tell you honestly, old scars are very hard to remove na. Kahit pa medyo manipis mahihirapan tlaga mawala. 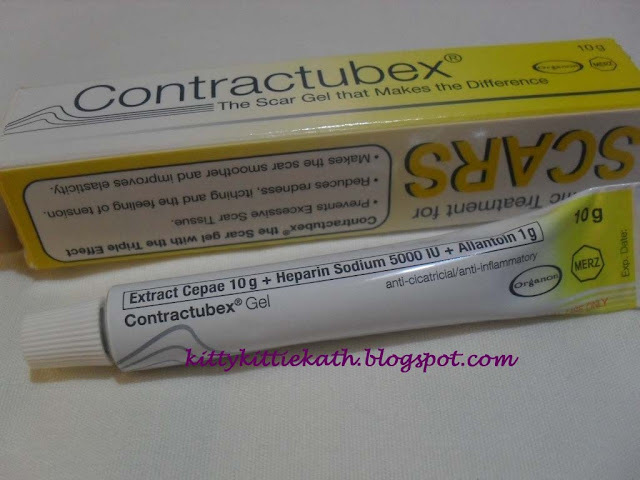 Pero if you really want to try contractubex and you have hope na maglilighten yung scar pag nilagyann mo nito, try it. About the months, I'm not sure. It can go up to years pa kung talagang religiously mo gagamitin yung product. @Mary Ann Cueto- hello :) I'm not sure if this product can be used by children. Better consult your pediatrician or you can ask the SA sa mercury drugstore para mas sure. thanks po and more power..
@Anonymous- hello there! Since your chicken pox scars is just two weeks old, I suggest na you use the gel agad but still no assurance kung how long it will lighten or fade kasi it depends pa din sa lalim ng scar mo. First talaga na effect ng contractubex is redness on the surface of the scar. Pero it's on your face kasi and the skin on that part is very thin kaya caution din sa paglalagay. I suggest you consult a dermatologist since the root cause of your scar is chicken pox baka may reaction yung product dun. hi ms. kath..my scars po ako sa face effect of chickenpox..meron kc malalim eh,,can I ask qng magagamot eto ng product n contractubex?? hi ms.kath..im worrying about my scars on my face..its about 3 weeks ago cause of chickenpox..im still hoping n my cure p dto, dhil my mga deep marks n naiwan..pwede p po b gumaling un kung ggamit ako ng product n 2..
Hi po how much po ang contratubex pwede po sa burns po napaso kc ung pamangkin ko sa mutor..
@Rhea Juaton- yes dear as long as the scar is still new not older than 2 years. It also depends on the severity of the scar. @Anonymous- hello, yes may pag-asa pa basta new yung scar mga 2 years and below. tapos tyagaan sa pag-aaply lang. Wow!!! Another recommendation I am excited to buy. I had two operations, last December 2012 and last April 2013. Will definitely purchase this. @Anonymous- yay! thanks for sharing your experience. @Katey- Yes sis, I highly recommend this, pede pa maglighten yung scars mo since it's new pa lang. @Anonymous- yup, mag change pa color ng scar mo eventually mag darken pa yan mas dark sa skintone mo. apply agad contractubex. I am Sushmita. One month before, my face was full of Acne Scars. One day I was using internet and I search Acne Scar Removal Treatment in Delhi on google. I visit many websites. Suddenly I look Klinik Esthetika’s website. Then I click them. I found that many clients reviews on this website, who is getting their treatment. Then I decided that I will also take treatment from that clinic. Finally, I reduced my Acne Scars. I hope that my face was fully free from Acne Scars near about 2 or 3 months. Thanks to google and doctors of Klinik Esthetika. curious of it..maybe i'll give it a try. I would like to try this for the scars on my legs. The scars keep my self esteem low :( Hope it works. i'd like to try contractubex. is it really effective? i've got a keloidal scars every time i had an operation. This is a very helpful review.Thank you. Kelloidal pa naman ako. Been using it for months now, am happy with the results although not yet gone but it lightens. I've been using this for 2 months and I can really see the great result of using it :) Thanks to contracubex !! @devilsnare- feed your curiosity dear and try it! @Steffi Romero- I know how it feels, hope the product would work for you! @Mary Louise Sanchez- thanks dear, hope you'll see improvements on your stretchmarks. @yenmorales- in my experience yes, but it depends also on the type and severity of the scar. @lynee ayuban- try it dear. 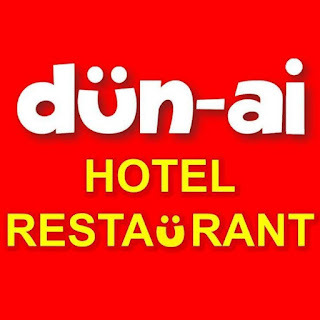 @Say Yap- thanks, hope you can try this soon. @Belinda Ibanez- yey! that's the first thing that will happen, it will lighten the scar and eventually if you use it religiously it will fade. Very effective! :) I use this too. @Anonymous- please wait it heal around 2 weeks before you apply contractubex. @diaphoretic- indeed! thanks for sharing your comment. @Riyalyn Gatdula- about sa strecthmarks not sure if there will be effects kasi haven't tried it there saka may iba't ibang klase nun e.
mily ko. When the would was healing but not yet complete I started applying contractubex which had significant result after a month however I developed allergy to contractubex so I switched to synalar hp cream which had anti scarring and anti keloidal properties but not that significant and after 2 wks I switched back to contractubex again for a month till I had a recurrence of my allergy prompting me to go back to synalar hp then again back to contractubex after 2 wks. This was my routine for more than 6 months. It all paid off, my scar was almost invisible, you will not see anything unless you put my skin under a microscope. For tjis with big scars, do not hesitate or lose hope. Use contractubex, persevere because it is SO WORTH IT. 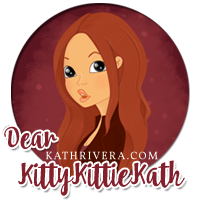 Good luck and thanks Kath for posting your reviews, its a big help to all. @Anonymous- thank you so much for sharing your ways on how to apply Contractubex. @Joy Cruz- thank you so much Ma'm for sharing the positive effects of this miracle ointment. With continuous use talaga the product will really minimize the appearance of scar. Patience is the key! 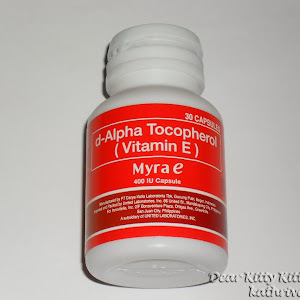 @aiko borja- no worries dear :) Hope you'll find this product worth the try! @nessa22- hello dear, if the dermatologist said na hindi sila sure about it, I can say I agree with them kasi sil ayung nakaka-alam kung hanggang saan yung pede iimprove ng scar. Contratubex is prescribed by dermatologist as well so if you'll use this chances are the same with what the doctor has told you. Bata ka pa kasi nung ngka scar ka and maliit na yung chances na ma lessen yun. But who knows, this ointment can make a little difference if used religiously. @tin- hello, I'm not sure if this will work sa paltos pero it's a kind of scar na din diba? basta habang maaga pa try to apply the ointment everyday. Pwede po ba yan sa mga marks ng chicken pox? hi miss kath, 1 MONTH na since my surgery, natunaw yong stitches and nkikita ko na yong scar (pink)..safe na kaya gumamit ng contactubex? @Tim Sotto- how old is the chicken pox scar? yes, it can be of help basta not older than 2 years old. Just use it religiously and it will make it appear lighter. @Anonymous- thanks for visiting and for the asking this question. YES! You can start using this ointment na. It will definitely help the pink scar appear lighter and more smoother talaga basta continue using it everyday. tree yr old palang ako napabayaan ko po to naging peklat po ito hanggang ngaun d pa po natatanggal kapag cnubukan ko po vang applayan ng construktubex, matatanggal pa kya ito? I hope to ur responce, tanks po. Hi! So many positive reviews, it gives hope. I have a little different problem than many of you. Dog bite my nose, it was bleeding a little, and it looks like it's scratched really, or like some cut from teeth. I read somewhere that two persons who got bitten said that they used contractubex, and after some time, scar disappeared. And in pharmacy they recommended me also contractubex for this, and they said that it will heal completely and disappear. Wound is fresh, it's really red, but maybe 1mm below the surrounding skin..I hope that it will level up with the rest of the skin. Anybody had kind of accident like this, and used contractubex? If so, what was the result? Also, I read somewhere about cutted lids...contractubex is not recommended in those cases, because it's not good to put it that close to the eye, BUT, I had cutted lid, 2-3cm, it was open completely, I used Aloe, and the scar disappeared completely, and redness too. Aloe is very good for skin regeneration. So, I would recommend it for those spots in which contractubex is not recommended. Now when I compare my left lid with my right one, there is no difference at all! Amazing. I used it on a fresh scar, but maybe it can help on older ones as well. You just have to try it, and to be patient. Miracles doesn't happen over night. @Anonymous- if the scar is less than 2 years old, there's a higher chance that it will become lighter or completely disappear. It's best to use the ointment to newly formed scars as this will surely penetrate to the healing skin. @Anonymous- I agree with you. Contractubex is applied only to specific areas. Thank you for sharing some advice and other alternative to heal the scar. @helen gatbonton- yes dear, madami naka try and effective sya basta patience is the key. hope you can try this soon! I'm using contractubex 3x per day, for about month and half, but I don't see if there is any reduction in redness on a new scar...is it normal, or contractubex doesn't work for me somehow? Hi ate, may scar po ako sa face, sa nose part po. Safe po ba gamitin ang contractubex? Jan 1 po ito nasugatan at nangingitim po medyo ung wound tsaka nag rered ung wound area. Hindi po ba masusunog ung skin ko if masosobrahan ng gamit ng contractubex? Ate hindi po ba masusunog ung skin ko if gagamitin ko to sa scar sa mukha ko? may scars po aq sa legs,.,sa kagat ng surot..applicable po bng gamitin 2???.. @Anonymous- hello :) I'm not sure if it's not effective for you since you're using this for 3 three months now maybe there's another explanation for this. But some scar takes more than 3 months to start healing and it depends on the severity of the scar. @Anonymous- I'm not 100% sure na hindi masusunog. basta wag lang sobrang dami ng iaapply mo kasi manipis yung skin sa face. @Claire Pajarillo- that's nice to know! Thanks for sharing your experience dear :) Highly appreciated!!! Hi ms.kath! Ask ko lang po if effective pa ang contractubex sa scar na 3 months ago na! I've had cs operation last october 2013. napansin ko parang nagkekeloid ung scar ko. 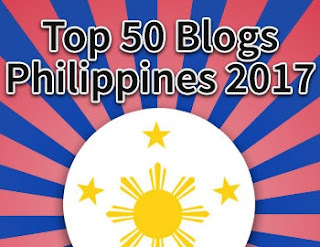 Then nbasa ko po ang blog nyo bout contactubex. If ever gumamit kaya ako I-effect pa sakin kahit 3 months ago na ung scar? @Anonymous- hello there! I'm not sure but there's no harm in trying naman. Usually kasi two years below may pag-asa pa. But don't lose hope, minsan kasi may mga products na pede hiyang sayo kahit matagal na yung scar mo. Yung iba na kakilala ko bago lang scar pero hindi effective and contractubex sa kanya. A very helpful and informative article that I could use to my family. Keep posting some valuable products for our perusal. Great! I also use contractubex because of my wounds from biking and it does help in keeping the scar away. It would be better if you have shown here the after effect of this ointment into your scarred skin. I just recently saw a TV ad about this product and it made me focus for a few minutes. The ad looks convincing but I had doubts. Reading this, now I have the idea that this works best for newly formed scars. I can't wait for 2 years before I see any changes with my scar which started when I was still in highschool. But still, this one's really helpful and now I know what to use whenever I got scars. I have a scar (got it when I was a kid) on my right knee and it's making me feel conscious everytime I wear shorts or skirts. :( I've seen contractubex on TV several times and I keep on wondering if it's really effective... I need to see for myself. :) Your review convinced me to try it. What if the scar is very near the eyes and the product gets in contact with the eyes by accident, what should the person do? It's been always nice to visit your blog and read those reviews,very nice. Regular contractubex user here and yes, that's how many scars I get in multi sports. 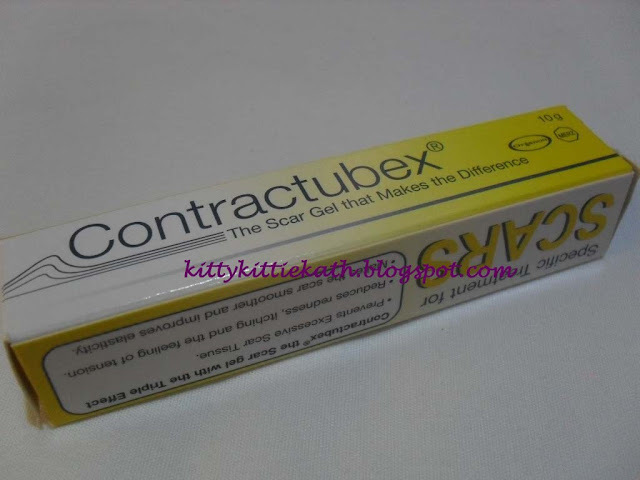 Contractubex seems like a good product for scar treatment but I haven't tried it. Nice review. Mayroon po kasi akong insect bites... Im 14 years old ba po pero sobrang dami ko pong peklat gawa po ng insects bites...pero muka po syang malalaking dots na dark color..pwede po bang matagal yun gamit ang Contractubex.....May possibilities na matanggal pa po ba to......yung scars ko po ay mga 10-11 years old na po..thank po..
Hi I just want to ask ow about yung super tagal na nung scars almost a year na kaya din ba or para lang sa newly scars more effective? @Anonymous- hello there, actually sabi nila may ibang scars na kahit after 2 years madali pa ma treat. Siguro hindi na yan maglilighten, mag flatten lang or pede rin mag lighten ng konti pero madami-daming contractubex din ang uubusin mo. @Franc Ramon- wow! thanks for sharing your experience. I'm sure even if I haven't posted the pic of the private area where I used it, you can testify for the effectiveness of the product. @Mommy Pehpot- I haven't seen the commercial of Maricar Reyes. Yung kay Cheska Garcia with her daughter lang ang napanuod ko. @Czarina Cerize- aww, I feel bad for that. ang hirap talaga gamutin ng scar noh? mahal na ang tagal pa. hope you can try this and sana maging effective sayo. @Mei- thanks for sharing your insight. yup, some ads are good to be true but I'm happy with this product because they clearly stated that this should be used with newly formed scars. This way, there's no false claim. @Shekinah- thank you! I don't want to give you false hope but this product is good for newly formed scars and less than 2 years. But if you have the money and the time, you can try this anytime. @Rochkirstin Santos- wash the part immediately with water then seek professional advice. 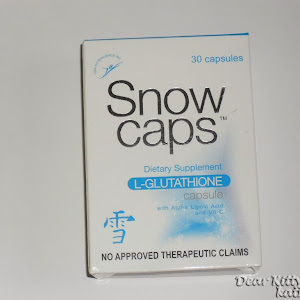 @Charmaine Manasala- yup, there's fading kasi I tried this two weeks after my operation. I can't show lang talaga the part kasi super private, as in ang lapit nya na dun sa part where no one sees but my husband. @Franc Ramon- thanks for sharing! I'm sure hindi mo na problem scars mo since you're a regular user and you know it's effective. @Peachy- yes, it's one of the good scar remover available and it's prescribed by OB-Gyne's talaga. @Nene- hello there! I want to tell you honestly na hindi na effective and contractubex sa scars na 2 years old and older. If maliit naman and hindi gaanong dark siguro pede pa basta tyaga lang sa paglalagay. But sometimes it depends din sa lalim ng scar and sa balat ng tao. Minsan kasi may scars na kahit matagal na kaya pa din gamutin. Nasa component din kasi ng skin. @Mariemae Olano- hello, pede pa basta not older than 2 years old pero don't expect it to lighten ng mabilis. Medyo mabagal na yan and tyaga lang ang kailangan. @Ems- pag matagal na yung scars medyo mahirap na gamutin. pero yung mga bago may pag-asa pa.
Hi! Just want to ask, kasi a few days ako nagkahiwa yung binti ko ng nabasag na plate... hindi ko masabi kung gaano kalalim eh, pero mahaba yung pagkakahiwa. Can contractubex prevent it from becoming a scar? and also, should I use it right away or wait for the wound to heal first? Thanks! Yes, pero pagalingin mo muna yung wound kasi hindi sya pede i-apply sa fresh wounds. Heal it first then apply contractubex right away! Hello :) I have no idea if the scar will become keloid sa start pa lang ng pagkasugat nya. Pero if you're the type na dati nagka scar tapos naging keloid, chances are magiging keloid din yan. I'm not sure if this is gene- related din like sa stretchmarks na according sa studies genes play an important role sa pagkakaron nito. how much po ung product? Hello, there's a slight itchy feeling when you apply it on the scar part specially if that part is only a month old. It's safe sa face but be sure not near to the eyes and mouth area. I haven't tried it on my face so it'e better to consult pa din just to be sure. About the film thing, yes there are instances na parang nagiging film type sya lalo na pag napadami yung lagay mo. Hindi naman halata so it's okay lang pero hindi naman white, transparent naman. Guys, please don't ask the same questions. pls do backread before you leave comments/questions. Hope you all understand 'coz I just want to make for us,readers, to read easily the comments here. Thanks for sharing your experience :) Yes, it works! Can this be use in more than 4 year scar caused by chickenpox skin dse. Preferably on the face. Since the scar is already 4 year old, I'm not sure if there will be a visible effect pa on the improvement. I don't advise it to apply on the face frequently and caution also on the eye, nose and lip area. I will ask my doctor to see if she recommends it too !! Yes please, ask your doctor first just to be sure. Sana mas mild na soap to avoid negative reaction. But if you're hiyang na sa soap mo, observe it first pag merong negative symptoms stop the soap. It s the first time I hear about this product! nice to discover new things via your posts! No worries dear :) Thank you so much for dropping by! That sounds amazing. Do you have to get a script from your doctor? No need for prescription dear. It is an over the counter medication. Hindi na talaga matatanggal ang stretchmarks, magiging less visible lang. Kahit sa Belo hindi nya talaga maaalis as far as I know. Thank you for the review. This is something I will be trying.